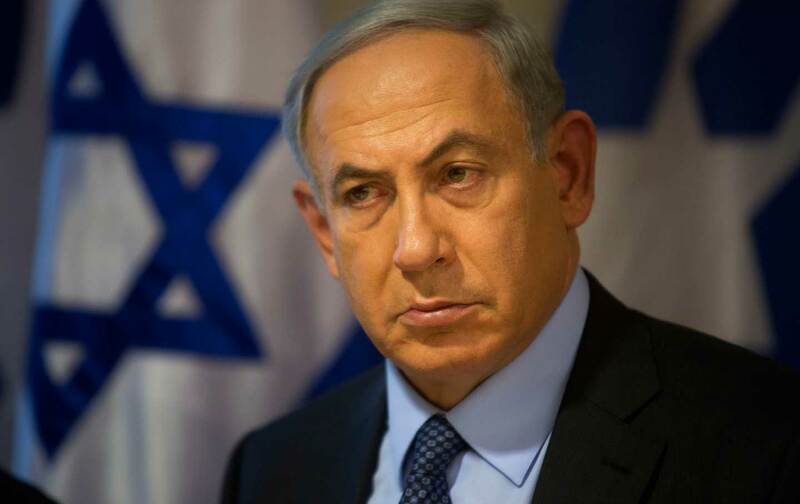 When Israeli Prime Minister Benjamin Netanyahu stated in a speech this week that Hitler exterminated the Jews because a Palestinian convinced him to do it in a 1941 meeting, most reasonable people responded with condemnation and derision. The idea that a stateless, Third World mufti would shift the policy of what was then the world’s most powerful militarized-industrialized state is as absurd as the notion that Hitler, a dedicated anti-Semite who had already initiated the genocide of Europe’s Jews, needed any convincing. There is so much wrong with what the prime minister said, not least of which is the fact that this ahistorical narrative distracts from the root cause of the Holocaust, which was European anti-Semitism. But Netanyahu’s outrageous, imaginary anecdote, however crazy, was not as much of an outlier as it might seem. It was so dangerous precisely because he isn’t the only one engaging in this sort of defamation. Netanyahu’s aim was to advance the argument that Palestinian behavior, toward Israel in particular, is motivated primarily by a deep-seated hatred of Jews that is inseparable from their very identity. In other words, Palestinians act this way because of who they are—because of something intrinsic to their nature—not because of what they have experienced. This argument, of course, is not new. We’ve heard it time and again in various contexts. When we see violence in race riots in the United States or elsewhere, we often hear the claim that the behavior on display is a reflection of black culture or black family values. In various colonial contexts, including the American one, the behavior of natives was often reduced to the “savage” identity of indigenous peoples. In all such cases, the systematic oppression of racism or colonialism is downplayed or entirely ignored. It is a convenient narrative, particularly if you are the oppressor, and it advances the dehumanization of the other in such a way that it enables the use of physical violence against their bodies: These people are irrational, brutish, less than human, so there is no way to reason with them. The only way to interact with them is through the use of force. It is the only language they understand. Convincing Palestinians that the Israeli government is not trying to alter the status quo on the [Temple] Mount has been difficult because many of today’s Palestinian leaders, in the manner of the Palestinian leadership of the 1920s, actively market rumors that the Israeli government is seeking to establish atop the Mount a permanent Jewish presence. Really? Is that why it is difficult to convince Palestinians of the benign intentions of an Israeli state that has in fact dispossessed them of the vast majority of land they held dear? Israel demolished hundreds of Palestinian villages; has built illegal Jewish-only settlements in occupied territory for decades—including in a tightening, noose-like fashion around Jerusalem—continues to ethnically gentrify Jerusalem through a variety of policies; increasingly tolerates growing religious-nationalist calls for an expanded Jewish presence at the Noble Sanctuary; winks and nods at violent settlers who have burned dozens of Palestinian mosques and churches—and despite all this, Palestinians are supposed to simply believe that Israel has no bad intentions for the holy sites because it says so? And if they don’t, it is because they are paranoid supremacists? The same racist, blame-the-victim current runs through all three arguments. Each has dressed it up in a distinct way—Goldberg’s in a tweed jacket, Stephens’s in a strait-jacket, and Netanyahu’s in a clown suit—but the same ugliness lies beneath all three, and no degree of couture can make them more appealing. These arguments, consciously or unconsciously, dehumanize Palestinians and lay the groundwork for the continued use of state-sponsored violence against them, their families, and their society. It is high time they be called out for what they are. Yousef MunayyerTwitterYousef Munayyer is executive director of the US Campaign for Palestinian Rights, the nation’s largest coalition advocating for Palestinian rights, and a policy analyst with the Arab Center in Washington, DC.